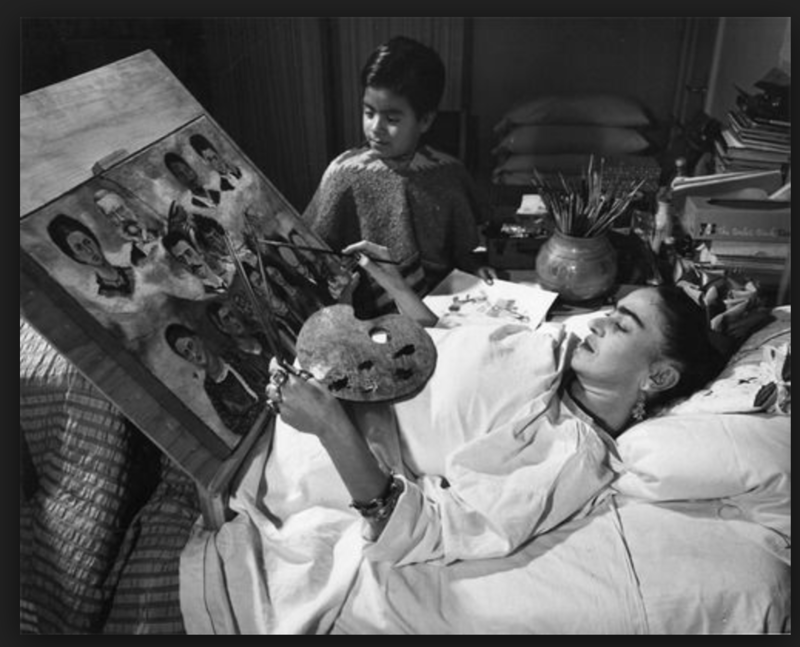 Photograph of Frida Kahlo in bed, painting. She is lying down. She has a specially made easel for use in bed from a reclined position. Art supplies and a small child are to her right.